California's Death Valley may have just set a world record for hottest month ever. The area's average temperature for the month of July was 42.28 degrees Celsius. That is higher than the earlier world record, set last July in Death Valley as well. Todd Lericos, a weather expert for the National Weather Service, said the record beat last year's record by "quite a bit." He added that the data still needed to be further examined before going into official record books. The temperatures are measured at Furnace Creek in Death Valley National Park. 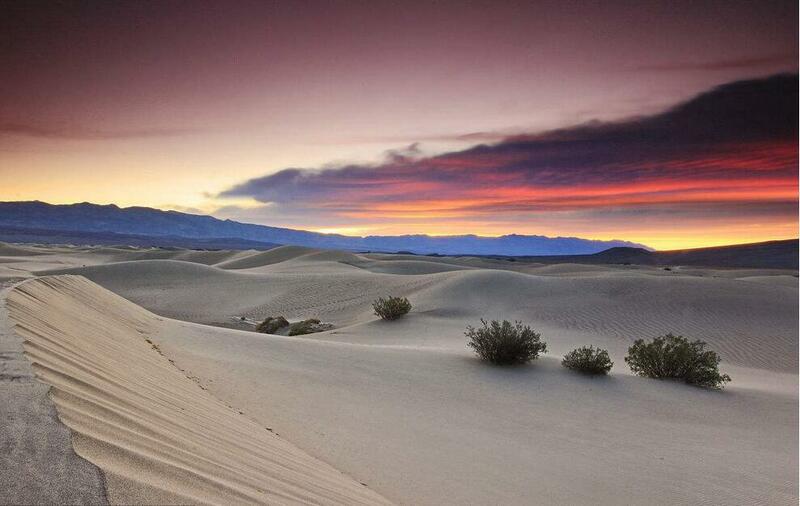 Death Valley got its name from a group of pioneers who became lost there in 1849 and 1850. They feared they were all going to die, the National Park Service says. And one person in the group did before the rest found their way out. In the springtime, Death Valley National Park bursts to life with visitors who come to see the desert wildflowers. But by May, Death Valley is already extremely hot, the National Park Service says. Visitors from around the world still come, but not to see the blooms. Instead, they want to experience one of the hottest places on earth. Summer heat there is so extreme that travelers are warned to drink at least four liters of water each day, carry extra water in their cars, stay close to their vehicles, and watch themselves and others for signs of heat illness. Summer visitors are urged to "travel prepared to survive," avoid hiking at low elevations and return to their air-conditioned cars after just 10 to 15 minutes of being outside. Last month, Death Valley recorded high temperatures of above 48 degrees Celsius for 17 of the last 18 days of July. For four consecutive days, high temperatures reached 52 degrees Celsius. Death Valley is the lowest point in the US, at 282 feet below sea level. At the end of the second day, the weather expert for the flight warned of trouble. He is aiming for the 100 metres world record. The average temperature falls between the highest and lowest points of heat and cold. 5.Death Valley got its name from a group of pioneers who became lost there in 1849 and 1850. The film chronicles the everyday doings of a group of London schoolchildren. 6.Summer heat there is so extreme that travelers are warned to drink at least four liters of water each day, carry extra water in their cars, stay close to their vehicles. I told you to stay close to me. If I stay close to my friend I won't get lost.